An ultra cosy hot water bottle cover. 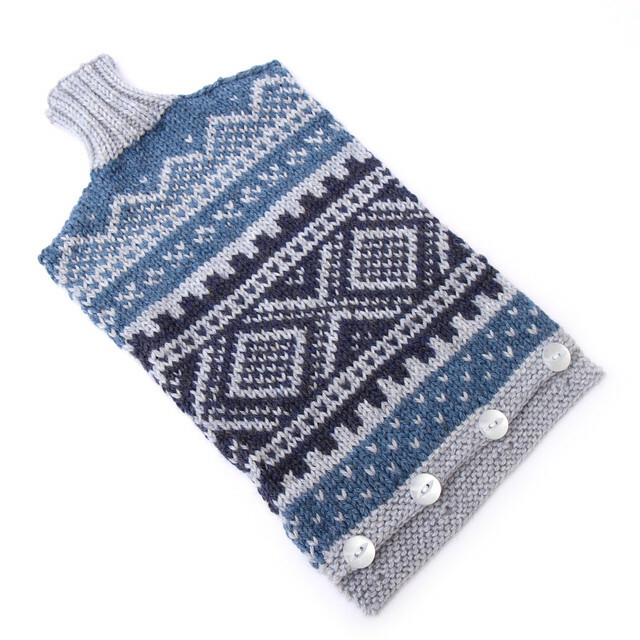 The traditional Norwegian fair isle pattern, normally found on ski sweaters, has been knitted in a muted palette of blue heathers. 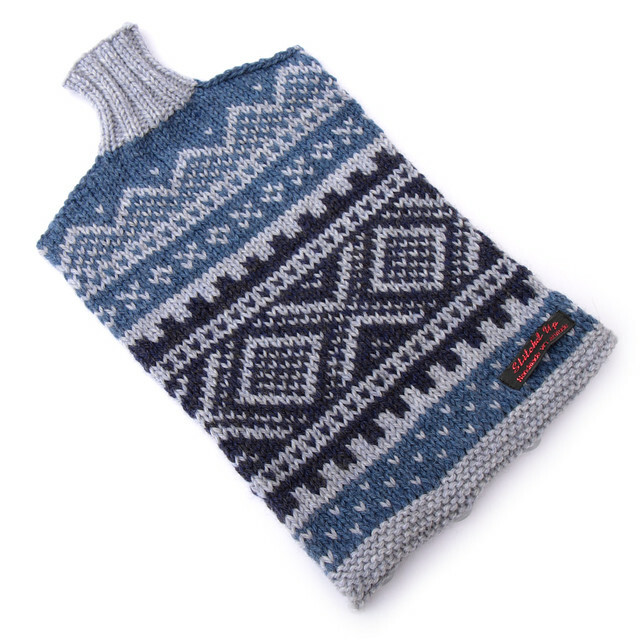 Hand knitted by Suzie in 100% Peruvian highland wool. 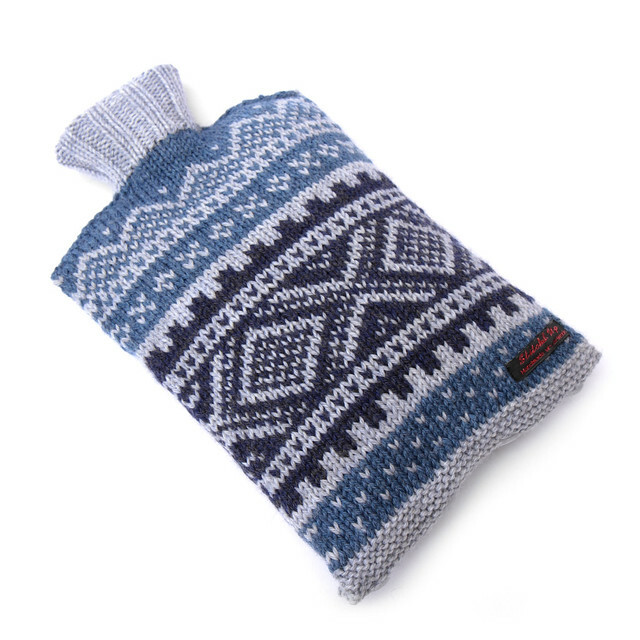 Fits a standard hot water bottle (not included) measuring approx. 20 x 30 cm including spout, and has button fastening. Hand wash. Prefer to knit your own? No problem! 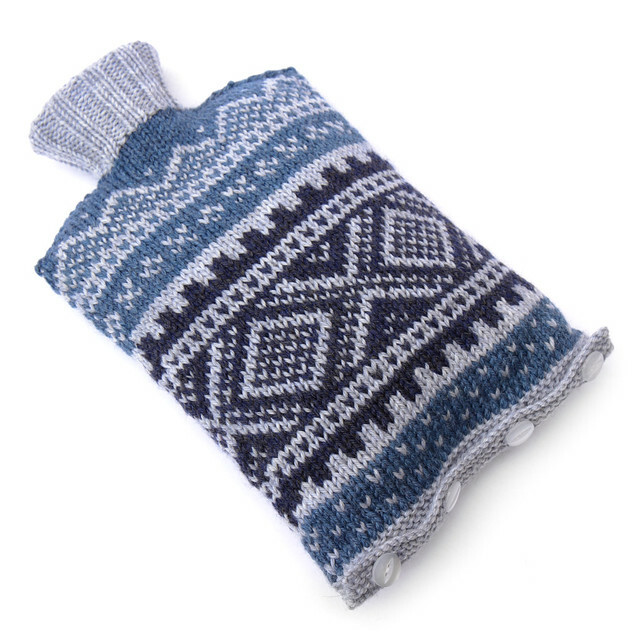 The Nordic Ski Sweater Hot Water Bottle Cover pattern is available to download for $5.